Jordan will curate and introduce legendary artist and geometrician Frank Chester at a pre-conference presentation and art opening. If you're attending or live near by, please join us Wednesday, November 16 at 7pm for a free presentation by one of the leading pioneers of the contemporary Alchemical tradition. 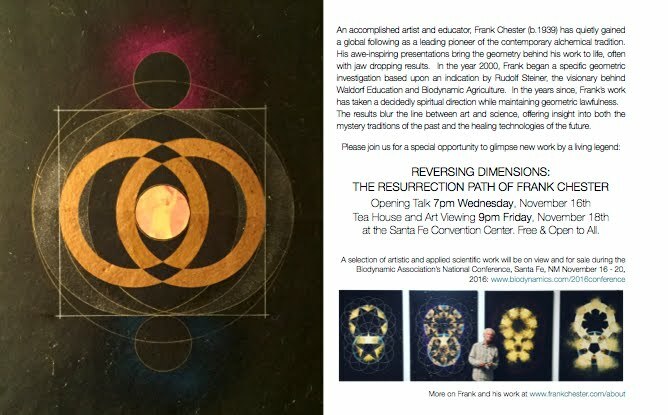 Friday evening from 9-11pm is another opportunity to catch Frank's new work when the New Forms Project partners with Santa Fe's Lightlab to host a tea house and social space in the Main Ballroom of the Convention Center. The new forms project was honored to help form the inaugural artist-in-residence program at Free Columbia (www.freecolumbia.org) in Philmont, New York. 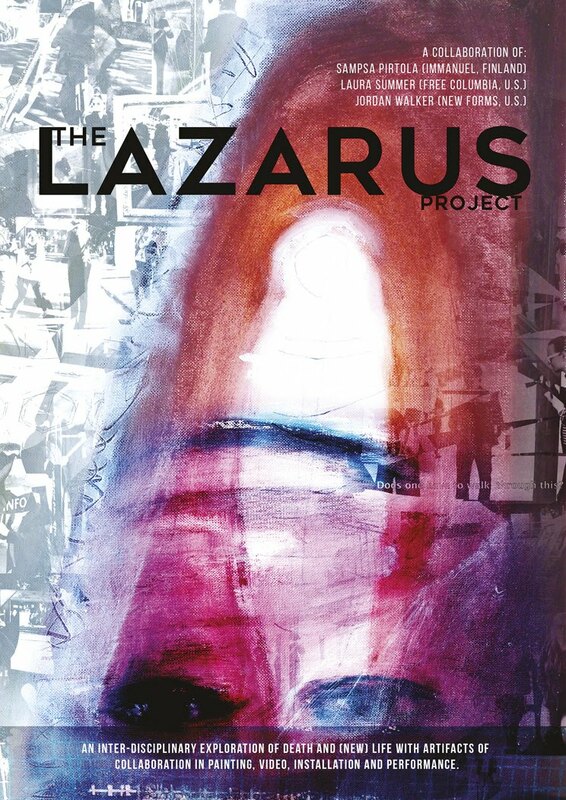 The six week residency ran from April 10th - May 22nd, 2016 with a culminating inter-disciplinary exhibit entitled The Lazarus Project. More information at www.freecolumbia.org/residency. Like the new forms project facebook page for an additional way of staying up on the latest of this and future events.